The teased us yesterday with that opener, but boy did they bring it all back around by the end of the episode. Today should be the papa introduction to Young-joon and ….tears? I feel like they are trolling us again so these might be tears of joy and not sadness and that the father might actually love Young-joon and is just messing with them or something? I do not trust you, trailer! 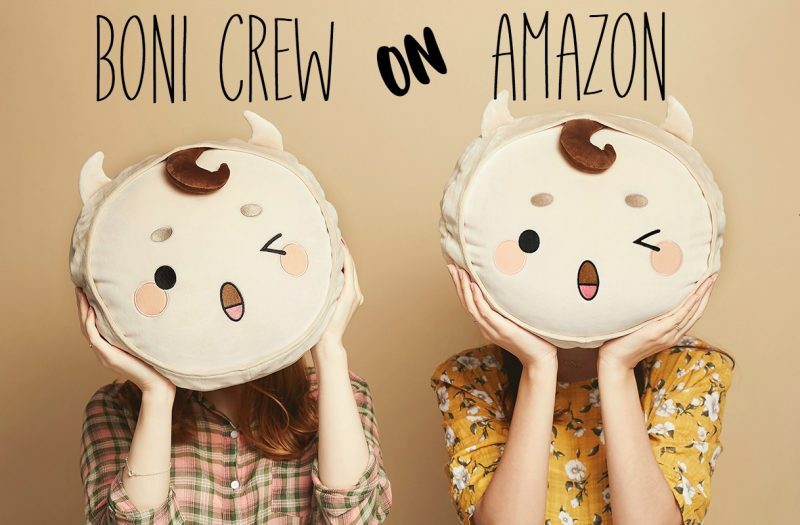 The hard working cow and elusive dog stuffed animals are on Amazon and Ebay! If you buy it, let us know how it is! Also, we will pick a winner tonight for the giveaway! (Ran out of time yesterday) So be sure to check your email this weekend to see if you won! It’s the next morning. YJ stretches and puts his hands behind his head. MS is not in bed. He looks to her side and smiles, but then he hears her say VP and looks up. She walks from the door wearing his shirt and smiling. She tells him that they should prepare for work. VP – I never knew those clothes were so dangerous…that’s the clothes the board members can fire me about because I am not working. He pulls her down to the bed. VP – you are so pretty so I dont’ want to work. These clothes shake my calmness. MS tells him that he is not the same person that seh saw which means that she likes him more. She kisses him and tells him…..you still have to go to work. Then she hops up with him looking after her. They go to eat breakfast and happily give each other salads. He gives her a salad and then she gives it to him. YJ – I was almost perfect with my look, money, and ability, so now I care about others also, but you don’t accept it. MS – What are you talking about? YJ – I gave you this salad myself. YJ – Please let me take care of you. MS – I am not use to it, this is my job. YJ – I also have work related habits where I am used to getting things from other people, but I am trying hard to take care of you. I know it is hard, but I want you to gie me orders and ask me to do something. I grant you that right. The secretaries talk about scheduling their summer vacations. CI asks GN when he is taking vacation. He says he does not take any vacations because the best vacation for him is finishing his work and going to bed. JH tells him he uses a lot of unnecessary quotes. then they eye each other. MS and YJ walk in at that time. GN and JH battle in their bows, each one going lower to the other until they are kissing their knees. The other secretaries ask MS about her vacation but another one says she does not need it since she is quitting. MS looks sad that she is quitting. She goes to her desk and thinks about it. She forgot about it for awhile, but now she is reminded that she is quitting. She thinks back to YJ telling her that they worked together from the beginning but she is quitting like this? JA pulls her out of her thoughts by giving her the contract. MS thanks her and takes it into YJ’s office. They say that the law team checked the contract so everything is fine. YJ asks her about lunch MS tells him that he has an appointment for a place that his friend opened up. They walk to this place and talk about YJ’s friend that is opening this place. it is a tiny restaurant in the street. His friend is a funny person because she is from a rich family but opened this small place. They know each other since they were kids and studied in the US together. They walk around the corner and see his friend who is a knockout. MS thinks so as well. YJ introduces MS as his girlfriend. The friend is shocked that he has a girlfriend. She tells MS that he and YJ have been friends since they were 5 but this is the first time that he has introduced a girlfriend. She tells her that she is so pretty and asks YJ if he still does his aura thing. YJ is basically like yes, but you don’t do it that way you do it THIS way. MS is a little bit jealous that YJ does his aura thing in front of others. They go inside to talk. The friend mentions that YJ asked her to marry him when he was 5 years old. MS smiles uncomfortably and says that the friend has a really good memory. The friend leaves to help another customer which lets MS kick him under the table and argue about marrying when you are 5 years old. How can you tell a woman that? He is all like, you asked me that when you were 5! he asks her if she is jealous? MS is all like, no! I am not a little kid! YJ is about to give her a napkin but MS grabs it before he does. He tells her to give her space to help her and she just says that she is not used to it. The friend comes back and asks YJ to open a jar for her. He asks how much money she will give him if he does it. She tells him that she makes millions of dollars an hour. So YJ opens it and MS gets so jealous that she almost shoots fire. Later on, they all leave and talk aoutside. MS has to go take a call which lets the friend tell YJ that his girlfriend loves him a lot. YJ is happy, he only was handsome but now he has love as well. She tells him that she is happy for him. She is also happy with her life right now even though she is not working int eh company. She is living fully now that she is doing what she wants to do in life. This makes YJ think about MS.
A little bit later, YJ and MS drive away. MS is still thinking about YJ opening the jar for his friend. She has her bottle and asks….Can you open this for me – Oppa? YJ is so startled, he has to pull the car over. He asks her to say it again but he also wants to record it. MS also ell him not to do that aura stuff in front of her anymore. MS is so jealous so YJ tells her that he wants to keep her jealousy like artwork, it is so cute. You are a jealous bulldozer. They get to the company. YJ tells her that she has a difficult time walking so Oppa can give you a piggy back ride. MS is a bit upset and tells him to do whatever he wants to do before. She walks ahead. YJ is beyond happy and chases after her. Meanwhile, SY is happily at home with his parents. Appa fell asleep reading SY’s book, he loved it so much and read all night for it. They joke about that for awhile. Cut to the stairwell at the company. SR and YC meet there to set a date to do something. He says that they can watch phantom of the Opera, he can get the tickets. SR tells him that he rescues her all the time and now is buying all the tickets. You are my hero! She pinches his cheek lovingly, but then they see CI and JH walking down the stairs so she has to quickly change the loving pinch to an aggressive one as she tells YC not to do that again! CI and JH think she is scary. They leave so SR apologizes to YC right away. He says that his cheeks are okay, but his heart hurts. Do we really have to do this? he leaves the stairwell, hurt. YC and SR get back to the cubicles with CI muttering that SR has a temper. But then they see that YJ is going home early without YC. SR blurts out that her YC is a very important person in this company! Everyone is all like, what are you talking about? SR tries to roll it back and says that he is important, I don’t hold grudges….then she runs away. YC is amazingly happy. CI asks YC if he is okay, YC smiles and says he is okay. YJ drives MS home. He says that Oppa should take her to the hospital. She says that he can just stop it. he asks her if she is spending over night in the hospital? MS says no, it is her sisters turn so she will jsut say hi. YJ says his sister in law is having a hard time with his father in law. MS is all like, sister in law? YC is all like, yes, we aregoing to get married right? You ahve a fiance that you promised to marry when you were 5. MS tells him, can you just stop! But they both laugh about it. They get to the hospital. YJ walks her in and MS fixes YJ’s tie. But then Appa yells MISO which startles Miso enough to strangle YJ with his tie. A little bit later, YJ sits in front of Appa with MS sitting next to him. Appa says that his daughter talked about him a lot, you are the boss that never gave my daughter a vacation. YJ says he is that dauchebag boss…..YJ and Appa start to talk about YJ tells him that he can talk to him in banmal. But Appa says he wants to talk to him in jongdaemal. But YJ says that he wants to be comfortable with him because he is dating his daughter. Appa is all like WHAT!!!! he marches over to him with his crippled leg and says, this is that guy that you are dating! MS asks him why he is talking in banmal now. the situation is awkward. Appa says that he opposed this union. Everything goes quiet. MS gets a call at that moment. She gives the phone to YJ. He stands up slowly and heads out. MS is all like, why are you opposing YJ? Appa is all like, I am just making it hard for him. I am on your side, having chaebal is great, but I know those people, when they have opposition, they want to get it more. He will be more into you now. MS is all like, what are you talking about appa? YJ comes back in. Appa asks him if he would like to have vending machine coffee? They head out. Appa and YJ sit on a bench outside. Appa asks, hey young man, how much do you know about my Miso? YJ says that they know each other for 9 years so he knows a lot. Appa says that his Miso never complains ever since she was little, she is aways number one, she is always happy even though she had hand me down clothing, she could have gone to school on a scholarship, but she said she would make money. I was crying because I was embarrassed for losing all our money, but you know what she told me? It’s okay appa, she was smiling when she told me that. How said must she have been to smile and say that. Whenever i see her smiling like that, it hurts my feelings in the corner of my heart. So when she smiles, don’t trust her smile. She smiles in any hard moment and endures it. YJ says yes, he knows it well. Appa tells him that Miso is quitting, so how much work did you give her for a nice girl like Miso to want to quit? Even though it is late, I want her to find things that she wants to do and to be happy. They walk back inside. Appa tells him to wait in the lobby and he will send her down. He tells YJ that he wants to take his daughter home seriously so don’t play at night. YJ tells hm of course, see you next time. Appa hobbles off. YJ goes to sit on a bench inside. He thinks baout why MS is quitting. MS told him that she wanted to find her own life, not a secretary or head of household, but just as Kim Miso. he also thinks about what appa said, he wanted Miso to find what she wants to do in life and to be happy. YJ thinks seriously about this. Upstairs, Miso wonders why they are not coming back and what they are talking about. Appa comes back in. MS is so curious as to what they talked about. Appa tells him that they had man talk, but he still made him a little nervous. He is waiting in the lobby, go down. Hahahaha. MS asks what kind of smile that is. Appa is all like my youngest tdaughter is dating YoumYoung groups son, you are the best! Hahaha. He smiles so happily. Much later on, YJ drives MS homea nd drops her off. He tells her that he was jut thinking about some things. He is done thinking about it though, do you want to take a walk? While walking, he asks her if she still wants to quit? She says yes, though she does not have a good plan. She took a job right after high school so she never had plans for the future and was too busy making money so she actually did not know what she wanted to do. YJ crosses his arms and says, think about it slowly…what you want to do in the future. I was selfish to keep you next to me. i stopped you from quitting, but now I dont’ think I need to do it anymore. I will do whatever you do, together….for the last nine years, you worked hard all the time and were perfect and great. So I will send my secretary away. Thank you so much. MS looks very touched by his words and he looks like he had a hard time saying them. He hugs her and tries to smile. Then he tells her that hse has to tell him that when there is something that she wants to do then he should tell him so he can help her. She says she will and they hug again. JA and GN are in the copying room making a copy, they touch hands and smile awkwardly. CI runs in and says that no one should know this, it is a big big secret! Whoever can take this secret, just come here. Everyone runs up and wonders what the secret is. SR tells them that CI says this all the time, it is all rumors. But CI says this is not a rumor. There is a big internal couple!!!! SR is so scared, she thinks it is her and YC. 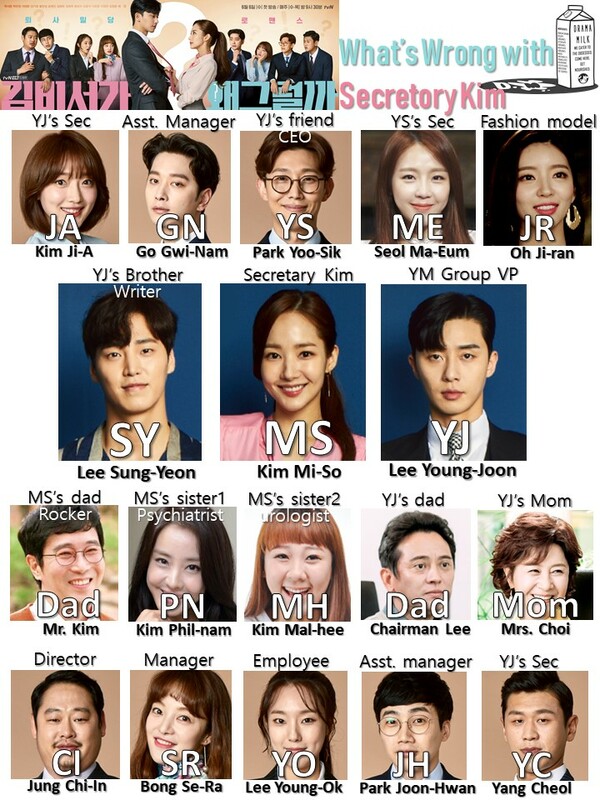 CI tells them, VP and Secretary Kim are dating!!!!! Everyone is all like, nooooo, this does not make sense, who is the witness. JA looks like she is in a world of trouble. They say that a new employee saw them dating. Secretary Kim walks in right then so they all turn around to greet her happily, but then they turn back around to talk about this once she leaves. They think that they can’t make Secretary Kim angry or they will all be fired. JA tries to sneak away. CI asks her if she has the YumYoung bio sales report. JA says yes and runs away. In YJ’s office, MS gives him some paperwork and talks about an event they will have soon. She asks him if he would like to go there? JA can go there with him. YJ says that sounds good, but then he looks at MS lovingly. She asks him why he is looking at her like that. He says that they wont be able to meet like this anymore, soon. So each moment is precious. She nods and starts to walk away but he gives her a big hug. However, several of the secretaries are at JA’s desk and looking at them hugging. MS sees them and makes eye contact. MS closes the blinds, but it is way too late. YJ tells her that they should address this now. Outside, CI and SR are all like, I saw it, did you see it? YJ comes out and tells them to come inside. He tells them that the romantic scene that they saw is as they expect. We are dating. Everyone claps enthusiastically for them. We didn’t know! Congratulations! YJ asks them if there is any problem that they are dating. They all say no there is no problem. They ask the person next to them if they have a problem and each person says no. JA asks MS is she has a problem and everyone is all like, of course you dont’ have a problem. YJ dismisses them. But MS runs out and asks them to keep a secret. But SR says that it is already spread throught the company. Someone saw you two dating so we kind of new about it. MS tries to smile at the knowledge, but she is uncomfortable. Late on, MS walks around the building doing her work but everyone is looking at her and whispering about it. In a bathroom, two women talk about MS, they knew it was weird, she did not go to a good school but because a secretary and now is dating the boss. But SR and JA burst out of their bathroom and yell at these to woman. HOW CAN YOU SAY THAT ABOUT SECRETARY KIM! SHE IS NOT LIKE THAT! The lasies says that they basically work for her, secretaries want to get something and coworkers want to get something too. SR comes up to her and asks if she wants to taste a mop in her mouth! She runs of and grabs a mop, but the other woman grabs a mop to so it is a mop battle! The two woman battle it out with the mops for a while. But then the mops fall so they resort to good old fashioned hair pulling! MS walks in at that moment and is super shocked. What is going on!!!! MS tries to address SR’s wounds. She is sad that they got hurt do to her. Why oppose her? SR and JA say that they were angry that those stupid girls are spreading rumors. We know that you worked hard and are quitting but they think that you are quitting because you are getting married. MS thanks them for being on her side. They talk about internal dating and how people don’t like it, but she almost slips that she is internally dating YC. She tries to play it off. Elsewhere, YS tells YJ that there was a fight with mops. It is because people are spreading rumors about you and MS. The women were spreading rumors and your secrtary team protected her honor and got in a big fight. Perhaps MS’s heart got hurt. Everyone said that she was seducing you. YJ wonders, are poeple that interseted in my dating. How dare they do that to my woman. YS tells him that it is because she is your woman. YJ is upset and says taht he does not pay them to work like this. He stands up. But YS tells him that MS told him to keep it secret from him, or he will know. YS tells him that rumors spread and get to the person the rumor is about so it can be hard. Just pretend like you don’t know, MS will have an even harder time. YJ sighs, that is why it will drive him crazier. he leaves and sees MS looking out the window stoically. He walks up to her and tells her to prepare to go to Daegu to check the opening. She says that he said he wont go. But he says he will go there. JA helps SR walk back to the secretary desks. they heard what happened and think that SR and JA are super cool. But YC looks concerned. GN asks if they are not hurt? JA smiles and bashfully says that they are okay. SR says that she is hurt…seh got a scratch on her arm. She hobbles to her desk. YC looks at her in concern, she whispers that she is okay. he turns to his desk and texts her. YC: Look in your drawer. She looks in her drawer, it is FILLED with all the medicine for muscle pain and bandages and everything. it is packed. YC: I didn’t want to show it to other people. So use it secretly, did it hurt a lot? They both look at each other lovingly. With the hero music playing in the background. Meanwhile, YJ gets out of a meeting and leaves with MS. They comment that the preparation went okay. She says yes, that is why she told him that he did not need to come to it. But he tells her that they ended early, so do you want to date? he pulls her away by the hand. theyw alk down (up?) some outdoor steps. He tells her that these steps are pretty so the best photographer in the world will take her photo. Walk over there. She walks down the steps a little bit and he takes her photo with his phone. She walks up and tells him to give her the phone, then she takes a photo of their shadows. they laugh as they make shadow images. Later on, they walk to the very top of these steps which is an observatory. He smiles and says it is pretty (like her?). But she knows that he is there because he heard what happened. He says he did, he wanted to make her happy. Why don’t you quit early. She says she will not, she will work until her last day. She does not care what strangers say to her. She knew this would happen when she started dating him. She doesn’t want him to worry about it though. They hug and she tells him….lets have a hot date now. he blinks several times…hot? they go to a traditional market and stand in front of a chicken place. YJ looks not so umpressed and asks if this is that hot thing? MS tells him it is! this is super hot! Try it. She feds him one. he tells her it tastes good. they feed each other several from this cart and then walk to some other carts. She says seh likes something as they walk by. But YJ tells her to wait a moment and goes to buy that thing for her. The next morning, MS puts on her makeup in the morning and tells herself not to get hurt and not to avoid it. But there is big trouble at work. The secretaries tell her that the laptop they are about to introduce got copied by some other company. Cut to a big board meeting. YJ tells them all to cut to the chase, what happened? YS fills him in, the thinks the premier of the laptop is one month left, but they released the design firt to avoid that they copied them. Is it possible to change the design? if they delay it then it is difficult. But maybe they can lower the price. they will lower it before they release it? YJ does not like that idea, is this a clearance sale? If this is difficult to design then they need something else. Do they have a new function? There is but they will use it for the next laptop. YJ asks them if they are sure that there will be a next. he tells them to increase the function and speed. We will meet again next time. YJ leaves. The board members tell Secretary Kim that they just heard about it, they did not have time to work on it, can you tell the VP these things. MS tells him not to worry about it, just work hard. YS calls MS, Umma. MS is all like, huh? YS says that she reminds him of Umma who comforts him after his father yells at him. MS smiles. MS goes to the secretary and gives them all detailed orders on what they need to do. They all get ready to do it right away. then she goes to YJ’s office and lays out all the proper paperwork dealing with the lawsuit and paperwork and designs and everything. YJ tells her that she is much faster than he thought. She says she is not as quick as her. He smiles but he tells her….do you think it is possible to meet a secretary like you again? You work this well, that is why I don’t want to leave you. My work was so much easier due to you. thank you for being with me. The secretaries get pizza delivered after working hard all day. MS comes in and tells them all that they did a great job. they all smile and says that MS is the one that did it all. All those people spreading rumors need to see you working hard and being perfect. You were promoted due to your ability. But Ci tells her not to talk about those thigns. MS says she is okay, seh heard it a lot. they wonder what they will do without her. YJ comes in. The three male secretaries run to give him a pizza, but he tells them that he is okay, he will go to his office. he walks away and MS goes to sit at her desk. She looks at all her notes on her computer and turns to grab a notebook. She sees an overseas record and flips thorugh it. SHe looks at all the old pictures of her and YJ together. Then YJ walks up to her and tells her that they should go home together. he will take her home. She looks up at him, but seh is not smiling. He drops her off and they talk. MS – VP, I need to tell you something. MS – I think I won’t quit. MS – Just as I told you, I want to stay as Secretary Kim next to you. YJ – Because of what happened today? Don’t worry about that. As you know, I have superior adaptation than others. I will feel your empty spot, but I will adapt to it soon. So find what you want to do. MS – I found it, what I want to do is be your secretary. Maybe the best thing I can do. I found the best job for me, but I was so used to it so I did not realize it. I like finding the proble and taking care of other people. I like this feeling after finishing a task. I don’t like someone I love having trouble. Who can take care of you if it is not me? You let me go because you love me. I love you so I want to stay next to you. YJ is very touched by her words, teary eyed, and speechless. MS – You did not eat dinner tonight. YJ – Should I eat ramen? They go upstairs to have ramen, but there is only one ramen left. She says she can add mandu to make it mandu ramen. If i put dduk then it is dduk ramen, if I put something else then it is something else ramen. He says that is an expolsion of taste (or something). MS says she is so happy right now. But she gets hot and wonders why she is so hot. YJ tells her that she will realize her dreams. they can go home together everyday and eat ramen everyday. I want to be your husband. I want to marry Kim Miso….what is it….do you opposse me? he smiles and leans in for a kiss. But then someone yells in the background I HAVE AN OPPOSITION!!!!!!!! Appa is laying in the bed!!!!! LOL! I HAVE OPPOSITION FOR YOUR TWO GETTING MARRIED! YJ grabs his heart like he was just scared to death. We have to run, but we will do the preview when we get back! How sweet that SR & JA are defending MS. Friendship/coworker goals! I’m glad it turns out that MS father isn’t against their dating. Thanks so much for your recaps! Same! Every Wednesday and Thursday. Mascara while reading. Eyeliner in the rearview mirror before going into work…. I lack the ability to delay reading these. Thank You for your recaps! OMG, y’all are the best. It super charges my drama typing speed! Haven’t checked out our House Helper yet, but that is one of the drama’s that we were thinking of watching. So happy to hear that it is good! thanks so much you are ever so fast it’s really amazing!!!!! Thank you sooo much!..i really need this coz i dont understand korean much!!! Thank you so much for the recap!!!! Hi V! I found this site since Misty (and wished for a better ending!) and have been following since. I loved Secretary Kim up till the closure of the kidnapping mystery, but episodes 13 and 14 have been a little on the shallow side, it seems like sometimes these last 2 episodes were just excuses for product advertising, do you get that feeling? But loving PSJ nevertheless! And the storylines of the side characters absolutely refreshing! Definitely filled with buckets of fluff. I did not notice the product placement (do to being swept away by the two leads), but I wouldn’t’ be surprised considering the storyline is pretty thin from here on out. Did they go to subway? Maybe I noticed that one. Wondeing if they will have a season 2? Yay! Well try and translate it today.